Post-Easter update, Monastery of the Perpetual Rosary, Dominican nuns, Union City, NJ: I phoned the monastery and spoke with Sr. Carol Marie OP, the sub-prioress, to find out what happens next. It is resignedly accepted that the Union City foundation must be closed. They received attention within their Order, from a report in MONIALIBUS, the international newsletter of the Second Order of cloistered Dominican nuns (recommended- you can find it online). At the time, the OP promoter of the nuns, fr. Manuel Merten OP, reported on his visitation at Union City. When he visited, Union City had a community of six women. The oldest was over ninety, and had been solemn professed for over sixty years, always at that location. She wanted to remain, die, and be buried in Union City. Other nuns accepted the alternative of moving on and being absorbed into the Dominican nuns of a different monastery somewhere else. Here is how things stood at Easter this year. Sr. Mary Clare OP, the elderly nun referenced above, died last year and is buried in Union City, so her wish was granted. 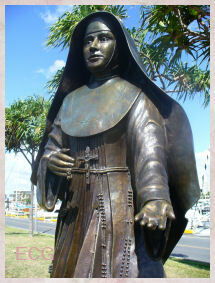 The oldest of the five surviving nuns is Sr. Mary Gemma OP. Physically too weak to go back and forth through the cloister, she is excused from community events, and confined to her monastery cell. The prioress, Sr. Mary Jordan OP, apparently afflicted with the complications of progressed diabetes, cannot walk. She was graciously admitted to the nursing care facility which the Caldwell NJ congregation of active Dominican sisters reserve for their own elderly and infirm women. Sr. Mary Charlotte recently hurt herself in a fall. The physicians can no longer be persuaded to visit the enclosure to give first aid to an injured "moniale"/nun. 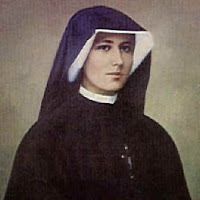 She had to be sent to a hospital and remains there while the nuns wait for the doctor to get the X-rays back from the lab, to determine if Sr. Charlotte has any fractures. If you are keeping track, we have accounted for four of six women, including the one who went home to her Lord last year. Sub-Prioress Sr. Carol Marie OP, and Sr. Maria Aquinas OP, at about seventy years of age the youngest in the community, are now the only two able-bodied women in the Union city foundation. 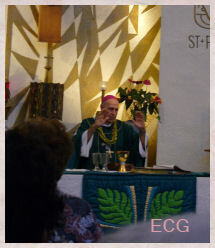 Sr. Carol tells me, that discernment for their community proceeds slowly with many interruptions. Their short list of "next homes" is: Syracuse, NY; Hunts Point, the Bronx, NY; and Lancaster, PA. With each of these Dominican monasteries, one nun from Union City has been dispatched to live with them in the cloister for a period of two weeks, then return to her house and disclose to her sisters what she observed. Obviously, illness and injury complicate and delay the process by which Union City must be closed, and the surviving nuns absorbed into another monastery of the Second Order of St Dominic's Order of Preachers. Please, keep these nuns in your prayers. If you truly want to help the soul of your neighbor, you should approach God first with all your heart. 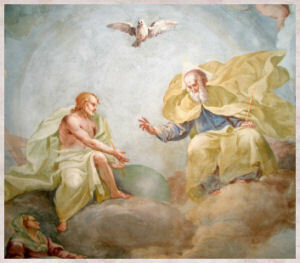 Ask him simply to fill you with charity, the greatest of all virtues;with it you can accomplish what you desire. in His goodness, sends to us day after day. Love dissolves hate. Kindness melts cruelty. Compassion calms passion. Cooperation evokes love and when we bow, others bend. This creates harmony. Whatever you give comes back to you. Whatever you take will not stay with you. Success comes in cans, failure in cant's. Normally, I do not post about things for sale. However, today I am making an exception. 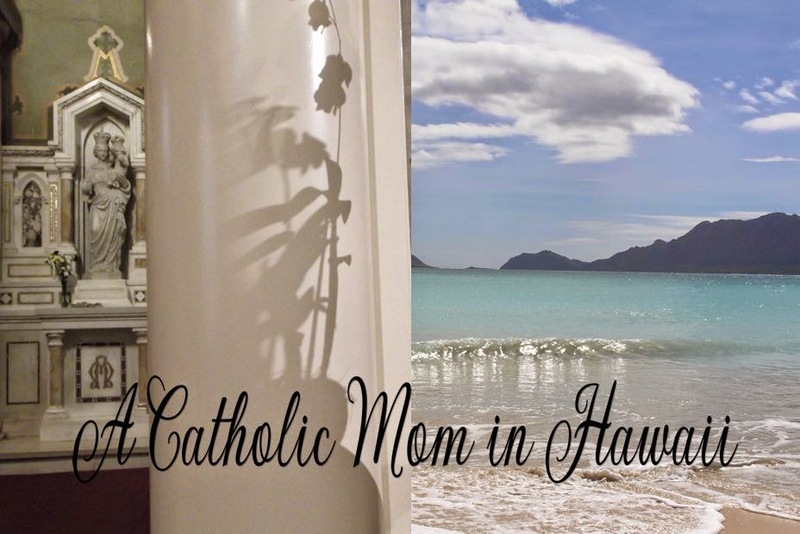 My friend Sue shared a link to a DVD collection which artistically demonstrates and teaches about the beauty of the Catholic Mass. Take a moment to view the clips and audio samples. The mission of Thy Kingdom Come is to promote a renewal of love for the Catholic Church by deepening the commitment and understanding of the people of God. With this renewed commitment, we aim to open and strengthen society’s participation in the Christian life, and establish a sense of hope in the future of the Catholic Church. We believe that only through personal relationships can a sense of community be reestablished that will awaken in lay people the commitment to follow through on their path to holiness with a sense of purpose, humility and joyful anticipation. We hope that our projects will provide an opportunity to create these relationships in local communities. Though many educational opportunities exist in the Church, many lay people do not take advantage of these opportunities. To accomplish our goals, our material must be in a format that is easy to access, simple to navigate, visually appealing, emotionally moving and, most importantly, compiled into truth-filled presentations. Over time, Thy Kingdom Come will create projects that will be an invaluable resource to the Church, both pastors and lay faithful, and society. 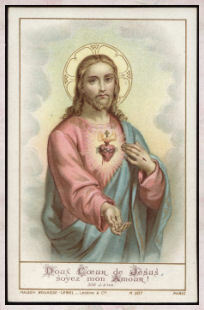 O Divine Heart of Jesus, grant, I beseech Thee, eternal rest to the souls in purgatory, final grace to all who are to die today, true repentance to sinners, the light of faith to pagans, Thy blessing to me and to all who are mine. To Thee, O most loving Heart of Jesus, do I therefore commend all these souls, and for them I offer all Thy merits, together with the merits of the most Blessed Mother and of all the saints and angels, and also together with all the Sacrifices of the Mass, the Holy Communions, the prayers and good works that are made today throughout the entire Christian world. H/T to Custos Fidei Make sure to read his commentaries on the article in question. The woman who wrote the article reminded me of one of my mom's favorites sayings or dichos - "No hay peor ciego que el que no quiere ver" or There is no one blinder than he that doesn't want to see. After boycotting Ebay for a few years, I recently started buying from them again...mainly looking for baseball cards for my dad. Originally, we boycotted because they were selling consecrated Hosts and also first class relics. Then I started hearing rumors that they were supplying money for ESCR. With this new reason to boycott, my dad will just have to find his missing baseball cards somewhere else. 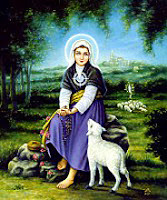 After reading the story of St. Germain Cousins (Germana) of Pribac, I have no doubt she is the patron saint of abused children. The story of little Germain is so heart wrenching, it would make the hardest of hearts weep. She was a little girl who tended the sheep for her father and cruel stepmother. She is described as a very unattractive little girl who was half-starved and her body covered with ugly bruises. She was forced to go around barefooted. She was a cripple and had only rags to clothe her. Yet, she had a very sweet, generous and kind nature and she never complained against the injustices and cruelty done to her. For some reason, her stepmother hated this little girl. Germain never knew kindness or love from a human being in her short live. The only one who loved her was God and His blessed Mother and she loved them. She was not permitted inside the house and would be forced to sleep in the barn with the cattle to keep her warm. She wasn't permitted to come in contact with her half-siblings. Her stepmother forbade it. It is not known why her father permitted the treatment of this girl. One theory is that he really wasn't her father but took her into his home when her own parents died. It is really not known. The villagers also treated her badly as they seemed to follow the cruel stepmother's example. Towards the end of her life, her saintly nature caught the attention of the village and even her stepmother tried to be kind in her own way. But it was too late for God rewarded this suffering little soul by bringing her to live in Heaven. Because I am one-fourth Chinese, it grieves me that China, continues to persecute our Chinese Catholic brothers and sisters, who are loyal to Rome. As you know, two Catholic churches exist in China. 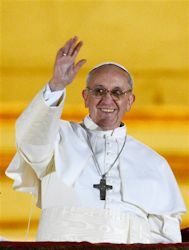 Like I mentioned above, one is the Church that is loyal to the Holy Father and is known as the "underground church". The other is the state run church known as the Chinese Patriotic Catholic Association. Their bishops and priests are loyal to the Chinese government. 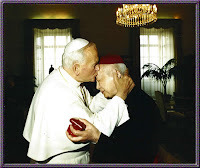 It tells the story of Ignatius Pin-Mei Cardinal Kung and his fellow priest Father Fan, now bishop. 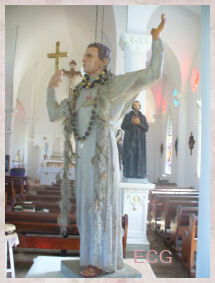 Both priests were imprisoned and tortured for their faith. However, both priest chose a separate and distinct path. The other article was also in Crisis Magazine and it appeared in their December 2005 issue. It is entitled Outlaw: One Priest in the Underground Chinese Church. 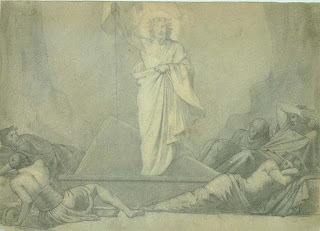 The story is about a Catholic man who was imprisoned for the crime of belonging to the Legion of Mary. I hope you take the time to read both of the articles. It was sad to read in the first article that religious communities such as Maryknoll and the Jesuits contribute large amounts of money to the state run church. The underground church is virtually forgotten. It's main source of help comes from the organization run by the late Cardinal Kung's nephew Joseph Kung...The Cardinal Kung Foundation. Our family made the hard decision to end our monetary support of Maryknoll based on that information a few years ago. It was hard because we have good friends in that religious community both priests, brothers and sisters. However, we couldn't in good conscience continue to help them help the enemies of the Church. 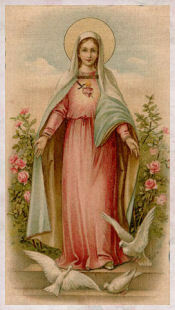 The following is from St. Michael's Center for the Blessed Virgin Mary Please visit their site for more details. Canon Ignacy Rozycri, Doctor of Dogmatic Theology appointed by Pope John Paul II to examine the revelations to Blessed Faustina, came to the conclusion that the extraordinary grace promised by Jesus on the Feast of Mercy is a gift of grace equalled only by the grace of Holy Baptism. This means that on this day your soul can be renewed as on the day of baptism, so that if you died immediately after receiving this grace you would go straight to heaven with no purgatory to serve at all. (In other words, so far as that matter is concerned He raised it (the Holy Communion on the Feast of Mercy) to the rank of a "second Baptism". "The soul that will go to confession and receive Holy Communion shall obtain complete forgiveness of sins and punishment" (II.138). Today we pray for all those who have separated themselves from the Church. Just a reminder that we recite the Regina Coeli during Easter. CLICK HERE for my post from last year. 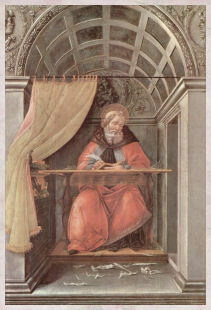 vitae. Per eundem Christum Dominum nostrum. Picture courtesy of This Site Painting by Hippolyte-Jean Flandrin. Lamb sacrificed for our salvation! CLICK HERE for the questions and answers. This prayer gives us a true measure of our mercy, a mirror in which we observe ourselves as merciful Christs. We can make it our morning invocation and our evening examination of conscience. 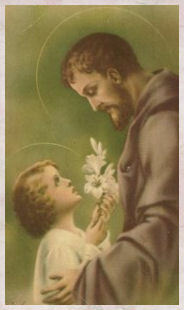 O my Jesus, transform me into Yourself, for You can do all things (163). Church. I thought that your prayer warriors might be able to use it for their family or may want to publish it. EVERYONE: PLEASE BE SURE TO CLICK HERE FOR ALL THE INFORMATION YOU WILL NEED FOR DIVINE MERCY SUNDAY. Despite recent attempts at discrediting the Catholic Church, many fallen-away Catholics will soon be returning to the practice of their faith. The reason: the Church's new feast on the Sunday after Easter. What new feast you might be saying? It is the "Feast of The Divine Mercy". The Catholic Church has been celebrating this feast ever since the Vatican had made it official on April 30th in the Jubilee year 2000. Why would every Catholic want to come back, you might be asking? It is the promise that Our Lord Jesus Himself made for total and complete forgiveness of sins and punishment on that day, even to the most terrible sinner imaginable. God in His great mercy is giving mankind a last chance for salvation. It is time for Catholics to get serious about their faith! Church. Jesus said, "Whoever approaches the Fountain of Life on this day will be granted complete forgiveness of sins and punishment." 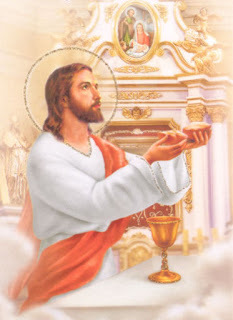 (Diary, 300) Jesus was talking about receiving Holy Communion in a perfect state of grace. 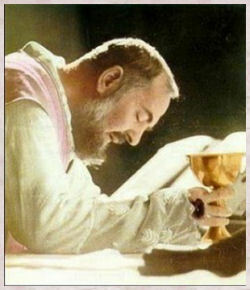 To achieve this state of grace we must go and make a very good Confession. special promise of a complete pardon is a great incentive to go and confess. Many feel that their sins are unforgivable but, Jesus said, "Were a soul like a decaying corpse, so that from a human standpoint, there would be no hope of restoration and everything would already be lost, it is not so with God. The miracle of Divine Mercy restores that soul in full. In the Tribunal of Mercy (the sacrament of Confession) ...the greatest miracles take place and are incessantly repeated." (1448) "Here the misery of the soul meets the God of mercy." (1602) Every sin imaginable could be forgiven by Him! close to My merciful Heart, and I will fill it with peace." (1074) "There is no misery that could be a match for My mercy." (1273) Jesus came to restore sinners and one would be foolish to turn away. On the evening of His resurrection Jesus appeared to His Apostles and the first thing that He did was to give them the power to forgive sins (John 20:19-31). This was done through the power of the Holy Spirit. For sure it wasn't the Lord's intention just for the Apostles to forgive sins, but rather, for that authority to be passed down through the Holy Spirit to all our future Bishops and Priests. That is why Confession is so much of an uplifting experience; we are actually receiving heavenly graces and the forgiveness of sins from the Lord Jesus Himself! there. Be wise, think about it, and take action now! 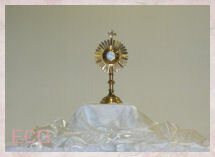 Confession (before) and receive Holy Communion shall obtain complete forgiveness of sins and punishment." 1. 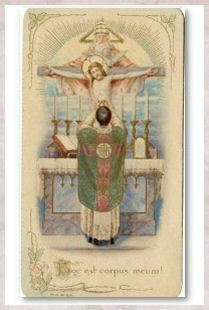 Attend Mass every Sunday and every Holy Day. 2. Confess serious sins at least once a year. 4. Observe all the days of fast and abstinence. help Jesus to save as many souls as possible before He returns to judge the world. Get a fresh start and become a good and active Catholic again. Be very generous with your time, talent, and treasure. Jesus needs you today. 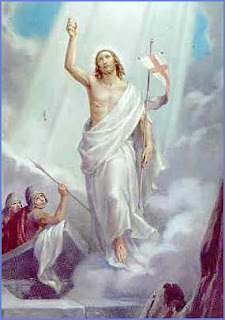 better reason to come back, at this very moment when we can be granted the complete forgiveness of sins and punishment? Visit or call your nearest Catholic Church and find out when Confessions are available. When you enter the confessional, close your eyes and talk to Jesus. He will respond through the priest with words of mercy. You will walk out feeling as light as a feather and with a great weight lifted off of you. You will be made whole again. Don't wait; this could very well be your "Last hope of Salvation". A very happy and blessed Easter to all of you and your families.